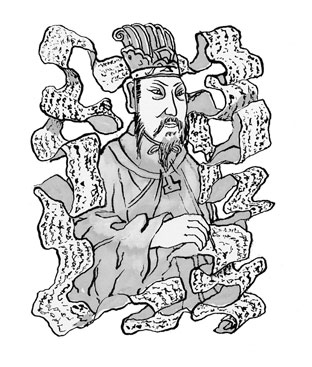 Translating ancient languages can be difficult if there is no method of unlocking them. Archaeologists may have still been puzzling over ancient Egyptian hieroglyphics if it wasn’t for the Rosetta Stone. This was a stone that had text written on it in Ancient Egyptian hieroglyphs, demotic script and Ancient Greek. Although there were some differences between the three languages, they were similar enough that it was possible to translate back and forth between the three written languages. 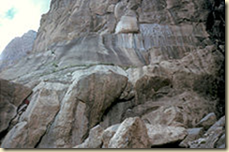 Archaeologists discovered another similar piece of inscription on Mount Behistun in Iran. Unlike the Rosetta Stone, where the author is unknown, it was very clear that the author of the Behistun Inscription was none other than Darius the Great, the man who ruled the Achaemenid Empire. The empire included Egypt, Balochistan and even parts of Greece. The inscription was one of the many massive projects that Darius undertook. Many of his other projects were architectural in nature. 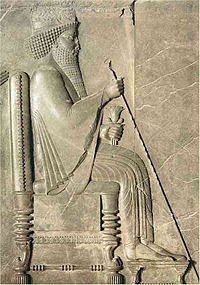 During his reign, Darius constructed palaces in Persepolis and Susa and also linked the Red Sea to the Nile river by means of a canal. This was completed and opened in 497 BCE. While the piece was first discovered in the mid 10th century, it was not until 1598 that it was mentioned to Western scholars. The inscription was written in Old Persian, Elamite and Babylonian. Translating it would prove to be very difficult for several reasons. One was the obscure nature of some of the languages that made up the inscription. The second was the positioning of the inscription itself. While it is quite large (the entire piece measures 15 meters high by 25 meters wide) it is located 100 meters above the ground. There is a ledge that runs below the inscription but the area is hard to get to as individuals who want to study the inscription need to deal with a limestone cliff that makes it difficult to reach the inscription. Some areas of the inscription are difficult to reach because of the presence of chasms, but scientists have constructed bridges in order to reach the areas that could not be recorded in the past. 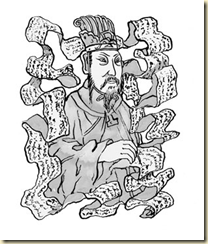 While the majority of the inscription is text, there are some illustrations as well. The piece features several bas-reliefs. One is of Darius I, the Great. In the piece, he is shown with a bow in his hands, an ancient symbol or sign of kingship. He has his left foot resting on the chest of a figure who is lying before him. This is believed to represent Gautama (a magus who was believed to have impersonated a relative of two ancient Persian kings). The inscription has had to withstand more than just weather and time. Like many of the monuments in ancient Egypt, the inscription also sustained damage after being used for target practice during World War II. Starting in 1999, archaeologists began to document the inscription and the damages it suffered. They are using photographic methods to record the inscription and preserve it in case the site became damaged further in the future. They are also attempting to conserve it and have turned the site into a UNESCO World Heritage Site. Greece and Persia were never known for getting along well. In fact, Persia had an almost permanent hatred for Greece and tried to invade several times. The first Persian invasion of Greece took place in 492 BCE. 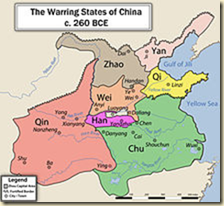 The Greeks were able to defeat them although it took them two years to do so. The final battle of this invasion was the Battle of Marathon. Persia hated Athens and Eretria because they had helped support the cities of Ionia when they revolted against Persia. 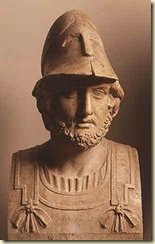 One man who fought at the Battle of Marathon was the Athenian general and politician Themistocles. He lived from 524 BCE to 459 BCE. One of his main goals was to increase the naval power of Athens and began his campaign to do so after being elected to the position of archon in 493 BCE. It is believed that he acted as one of 10 Athenian generals during the Battle of Marathon. After the Greeks defeated the Persians, there was a temptation on behalf of the Athenians to divert money away from the navy into other areas that needed funding. Themistocles didn’t agree with this plan. He wanted the Athenian navy to remain strong and managed to convince the Athenians that the people of Aegina were an ongoing danger to Athens. This wasn’t actually the case but because of this, the Athenians were willing to build a new fleet made up of 100 triremes which made them a powerful naval force that was very difficult to defeat. Themistocles used subterfuge in order to give Athenians the advantage during the second Persian invasion, which took place from 480 BCE to 479 BCE. This time, instead of Darius trying to punish Athens and Eretria, the second invasion was an attempt by Darius’ son, King Xerxes I, to completely conquer Greece altogether. It was believed that Themistocles was sending messages to Xerxes. He claimed that some of Xerxes’ allies, the Ionians, were actually much less loyal than they actually were. He also sent messages to the Persians which stated that the allied Greek navy was in a much worse condition than it actually was. Not only did Themistocles manage to cause problems within the Persian army, he was also able to find out important information that gave the Greek soldiers the advantage at the battle of Salamis. This gave the Greeks the upper hand and made it possible for them to eventually defeat the Persians at the Battle of Plataea that ended the second invasion. After the second Persian invasion, Themistocles’ career began to go downhill. He continued to be an important political figure in Athens but in the process, he earned the hostility of Sparta, a sister state of Athens. He ended up alienating the people of Athens and was ultimately ostracized in either 471 BCE or 472 BCE. After that happened, he travelled to the Argos where he lived in exile. Ultimately, he ended up in the service of the Persians under King Artaxerxes I. He ended up becoming a governor of Magnesia, an ancient Greek city that was located in Anatolia. He ultimately died in 459 BCE of natural causes. 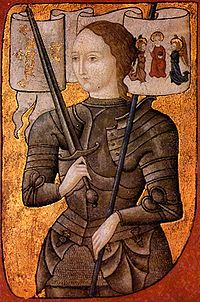 Anyone who has studied French history or watched the movie The Messenger is likely familiar with the story of Joan of Arc, Maid of Orleans. 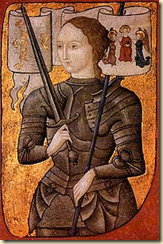 Joan lived from 1412 CE to 1431 CE and was noted for leading the French army to victory in several battles of the Hundred Years’ War. Whether or not you believe she had divine guidance the fact is that she did have a strong belief in God, and her actions did change the history of France forever. She was sold to the English and ultimately burned to death at the stake. Hundreds of years later, she was beatified and then canonized and has since become one of France’s patron saints. While she may have lived a pious life, some of her companions certainly did not. 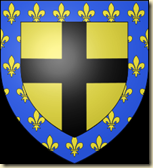 One of the most notorious was Gilles de Rais who lived from 1404 CE to 1440 CE. While he is known as one of Joan of Arc’s companions, his actions during the war are vastly overshadowed by his actions as a serial killer who slaughtered many children during the years between 1432 CE and 1440 CE. Gilles’ military career was a distinguished one. He was known for his recklessness and bravery on the field of battle and was present when Joan of Arc ended the Siege of Orleans, one of the turning points of the Hundred Years’ War and her first military victory. 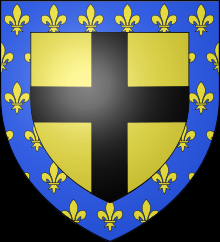 Some of his rewards for valor in battle and military actions included being made a Marshal of France and the awarding of letters patent that allowed Gilles to add the fleur-de-lys to his coat of arms. After Gilles retired from military duty and public life, he began to change his lifestyle. He constructed a chapel where he officiated. He also staged a theatrical spectacle that ended up almost bankrupting him. He was even forced to sell off his family properties in order to bring in the money needed to support his lifestyle. He also began to have a deeper interest in the occult. According to records at his trial, Gilles met a man named Francesco Prelati who convinced Gilles that regaining his fortune would be possible if he were to sacrifice children. Gilles de Rais not only killed children he performed unnatural acts on them before their death and would often dismember them once they were dead. Many of the unpleasant details that came out at his trial were furnished by Etienne Corrillaut, a body servant of Gilles de Rais. While it was known that he had killed many children, the exact number is not known. Many people feel that the numbers are much higher than the 80 to 200 children he is commonly believed to have killed. Many peasants who lived around his castle claimed that their children had begged for food at the castle and then were never seen again. Gilles de Rais’ crimes would likely have taken much longer to come to light if he had not kidnapped a priest in 1440. The following investigation turned up evidence of his heinous crimes and massive amounts of testimony was unearthed. Henriet (another of Gilles’ body servants) and Corrillaut testified about his crimes and Gilles also confessed. All three of the men were hung and then burned although Gilles’ body was removed from the flames and later buried at a monastery in Nantes.